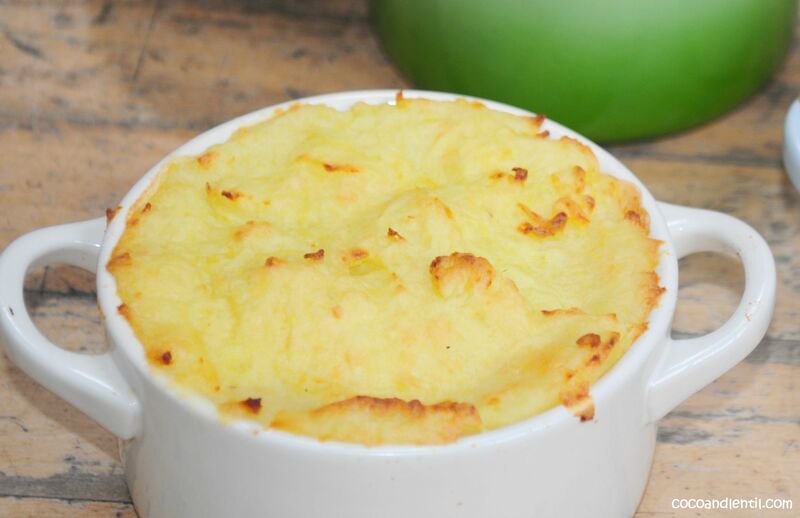 So here is a slightly healthier take on that old fish pie – without the crisps – Lentil and Coco are waaay too young for those! But feel free to add them in if you fancy a cheeky, saltier topping to your pie. Add the potatoes to a saucepan of boiling water, bring back to the boil and simmer for 15 minutes. Remove the potatoes with a slotted spoon, add the peas and cook for 2-3 minutes. Drain and set aside. Add the olive oil and some milk to the potatoes and pass through a ricer. Mashing is fine if you don’t have a potato ricer. Set aside. 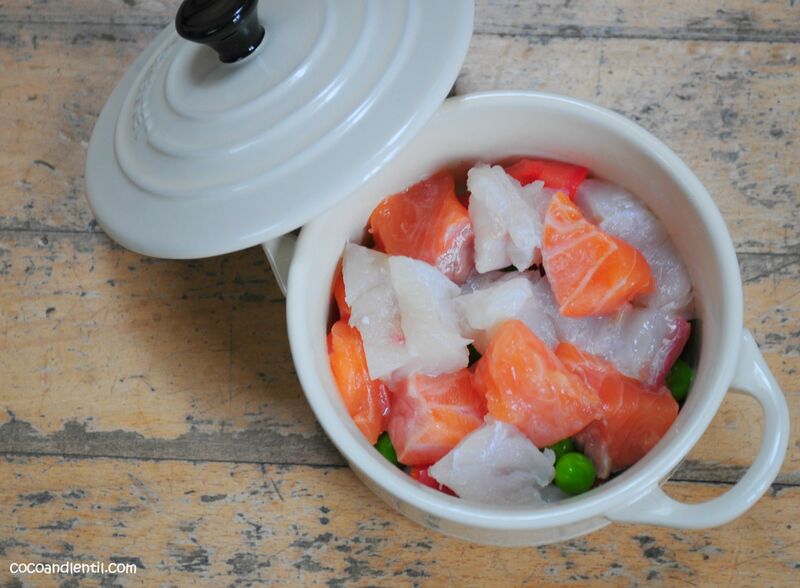 To prepare the pies fill each ramekin with a layer of spring onions, tomato, fish (mix the salmon and white fish), peas and cheese. Alternatively you can use one larger ovenproof dish. 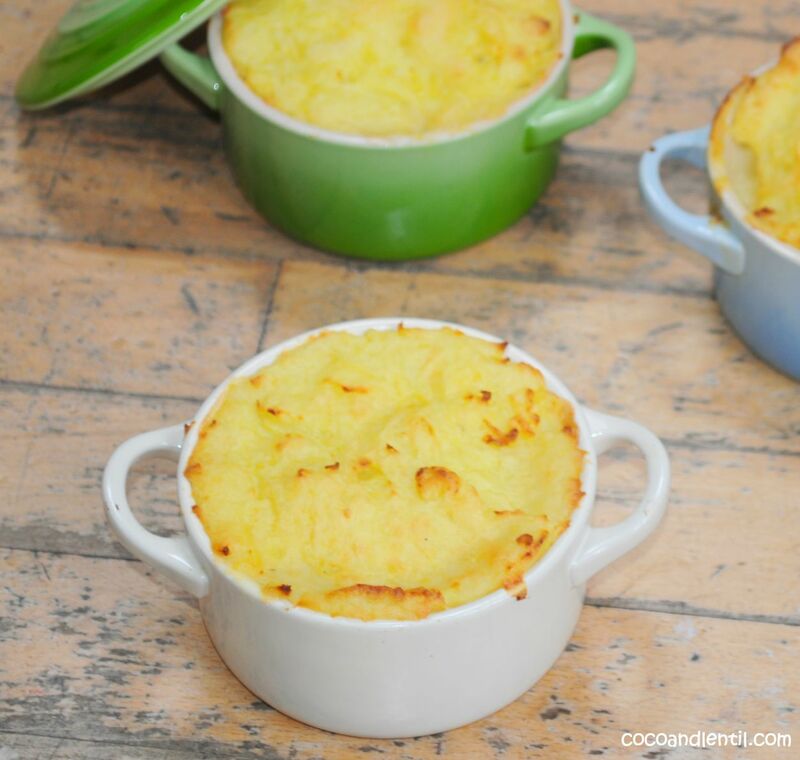 Add a little stock and a squeeze of lemon juice to each ramekin and top with a good few dollops of mashed potato. Brush potato will a little milk and bake in the oven for 20-25 minutes until the potato is a nice golden colour. If serving to little ones, just be careful as the centre of the pie can be quite hot. Thanks Sally. It definitely doesn’t look like summer in our part of the world today but clinging on to the hope of a few more rays before winter really kicks in and we’re all snuggling up with pies! 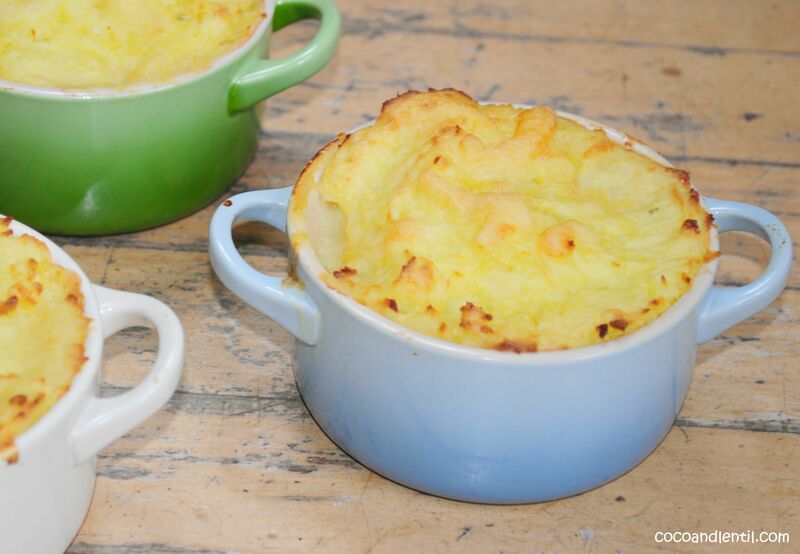 I’ve had pasta bake with Tayto on top but never fish pie. I will have to try it!! Lol! Maybe we could start a importing business to bring Tayto to the UK. Apparently there is a Tayto world too – the kids would love it! Such delicious comfort food, love it!